Now that Spring is here and we are spending more time outside we thought we would add some colour outdoors. 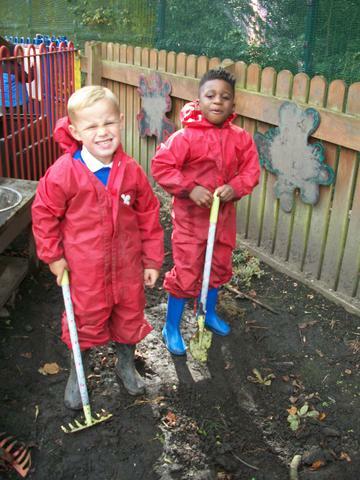 The fairies will be thrilled with their new fairy garden and we've had great fun learning how to plant flowers. Cup of tea for you and me! Thank you to all of our lovely parents and guardians that were able to make our spring stay and play on Friday. What and fabulous day it was making mother's day cards and crafts, drinking tea and playing outside! Take a look at some of the precious moments we managed to capture.We looking forward to having you at the next stay and play! In Reception we are very lucky as Mr Purtil has kindly bought us caterpillars. The children have a very important task of looking after them. 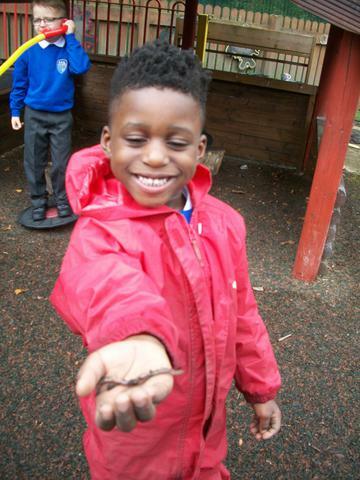 To get a better understanding of our new pets we have learnt all about the life cycle of a caterpillar. Can your child remember the life cycle of a caterpillar? Hopefully in a few weeks we may have some beautiful butterflies! We will keep you updated when our caterpillars turn into butterflies! What a fabulous day to raise money for an amazing cause. 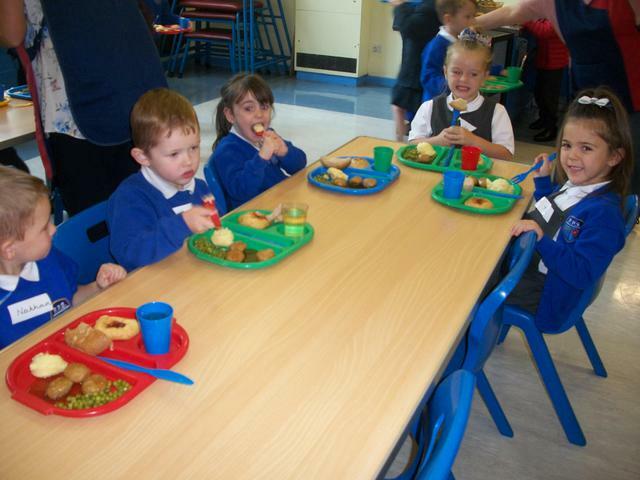 The children were able to add a splash of red to their school day. We had wacky hair, painted faces, red outfits and many many more. Thank you to everyone who made a donation every bit counts. 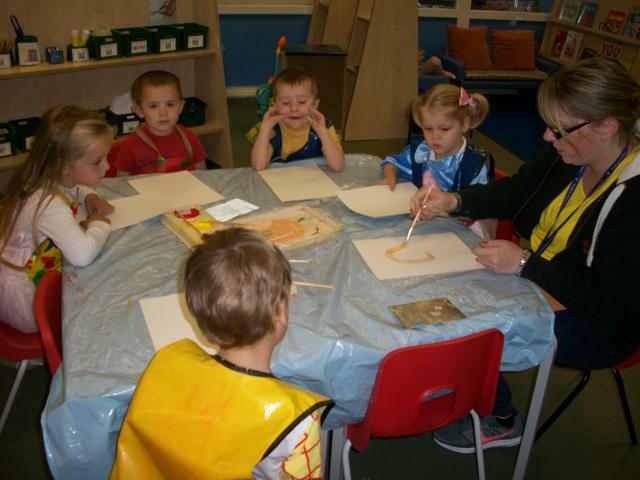 In Reception we spent the day listening to comic relief songs, decorating biscuits to look like red noses, designing our own red noses and having a dancing competition. Our topic this week has been The Gingerbread Man and what better way to end the week then making our very own gingerbread men. The children helped weigh out the ingredients, stir the mixture, roll out the dough and cut out gingerbread men shapes. Just as we were about to pop them in the oven....some of them tried to escape! Luckily we managed to catch them. The children spent the afternoon enjoying their delicious gingerbread men. An afternoon well spent. Yum yum! I will said all of our Reception children! 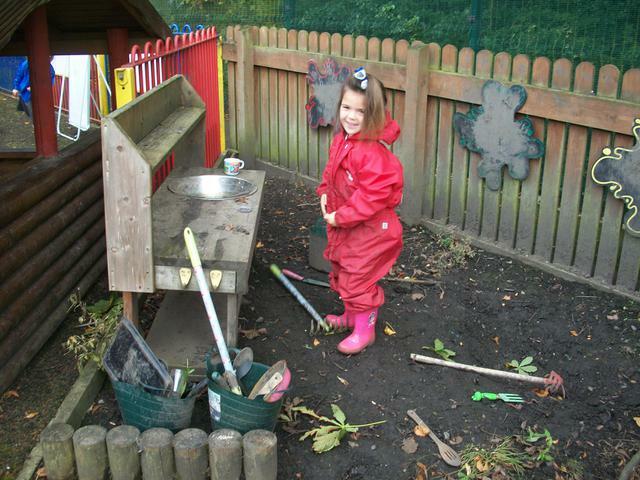 This week we have been reading the story of The Little Red Hen and her adventures on the farm. The Little Red Hen wrote to us asking if we would help her make bread seeing as none of the animals would. We asked the children and I think you can guess what their response was....YES WE WILL HELP! The children eagerly wrote letters back to The Little Red Hen and she kindly sent us some ingredients. To end our topic on road safety we took the children out of school to complete a tally of what they can see on the roads. After careful observation the children learnt that the roads are very busy as they saw over 20 cars, 3 lorries, 2 buses and 1 motorbike. 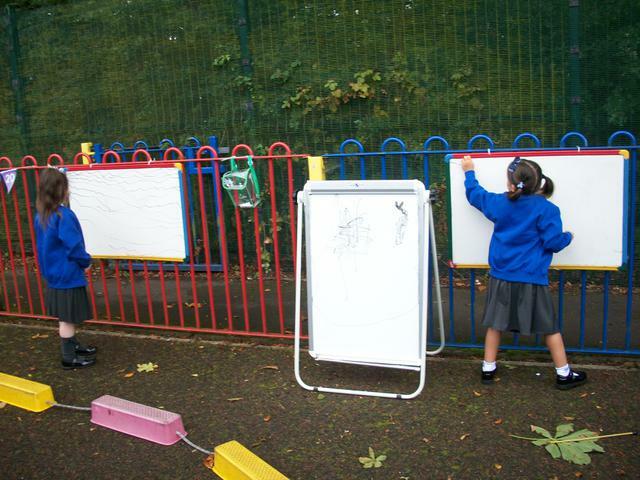 Take a look at the children at work. We are first aid trained! This week we are learning all about keeping safe on the roads. We have been learning the 3 golden rules to help us cross a road. 1) Stop at the road. 2) Look both ways. 3) Listen for cars. Last week we had a very exciting week learning all about Chinese New Year. We have learnt lots of interesting things such as they celebrate different animals, they use the colours red and gold, their new year lasts for 15 days and they clean their houses to get rid of bad luck. 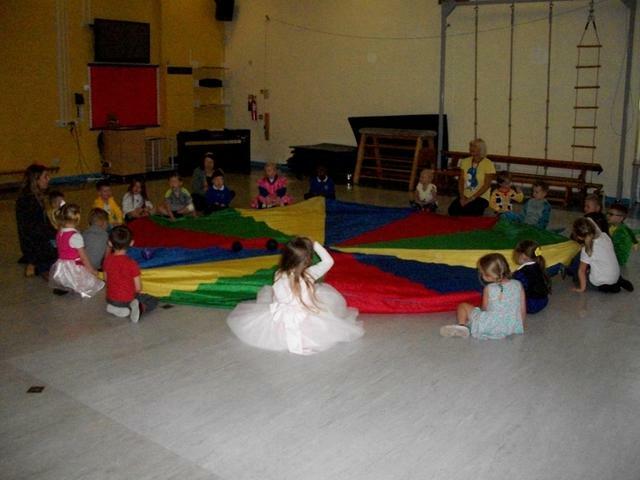 We feel it is very important for the children to really dive into other cultures to understand we should treat people equally...so what better way to do this then a party!! We hosted our very own Chinese New Year party. 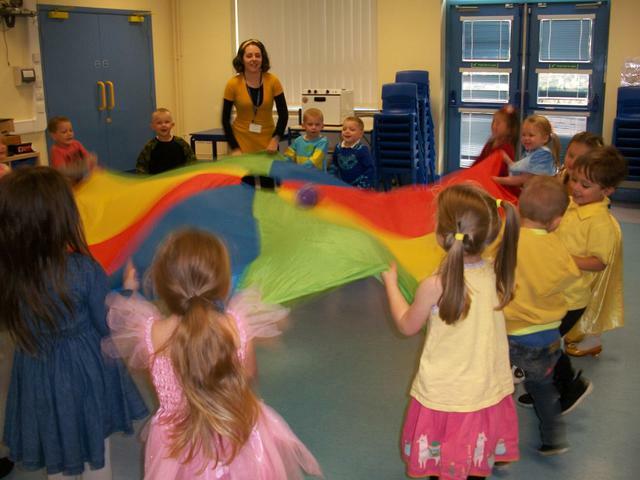 We have dragon dancing, decorations, musical instruments, books, colouring's and FOOD! 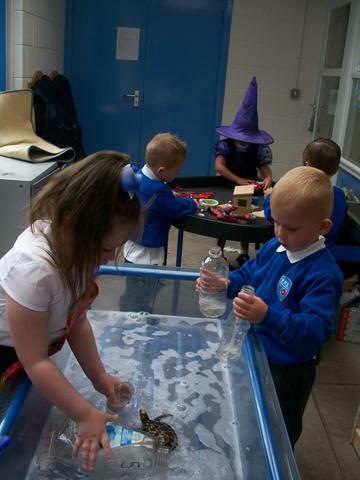 In Reception we have been looking closely at different materials and their uses. We thought it would be a good idea to investigate 3 different materials; paper, bricks (Lego of course) and ice. 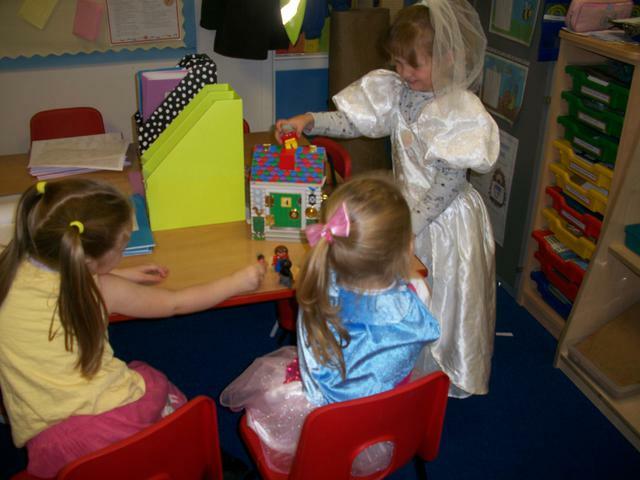 The children were put into groups and had to build a house. We then tested the strength of the houses using the big bad WOLF (the hairdryer). The children loved this experiment and as a result could confidently describe the different materials. In the end the WOLF (hairdryer) was no match for the brick house, it was tooooooooo strong! A big thank you to all the parents who came to our breakfast and books stay and play. What a perfect morning it was enjoying a cup of hot chocolate and some yummy toast over our favourite books. The children really enjoyed sharing their favourite stories. It was so lovely to see so many parents dive into a good book with their child. Take a look at some of the parents that got caught reading! This is how we spent our day!!!! What a fantastic week we've had for our Eco week. We've been learning all about how to be environmentally friendly and the importance of reusing, recycling and reducing our rubbish. Take a look at the recycling we've been doing with our new pencil pot holder and bird feeders. RT's bird-feeder was so fantastic it won a prize (a big hotel). Saving our town, recycling and writing down ways to save energy and protect our sea life have been just a few of the great activities we've done this week! We hope you have had a lovely Christmas break and are ready to begin the new term. We can't wait to get stuck in and carry on our fabulous learning adventure. Continue to check our website daily for all the latest information and pictures of what we have been up to. Over the weekend Mr Purtill noticed strange activity in school. He asked Reception if we could become detectives and figure out what was going on. Firstly we set off on an adventure around school looking for clues. The first clue was a trail of eaten leaves. Our second clue was large, scary footprints. The third clue was a strange looking box on the playground. We sent Mrs Harvey over to investigate and you'll never guess what she found? A dinosaur egg! Carefully we took the egg back to class and explained to Mr Purtill we have the situation under control. PHEWWW. We better not tell him theres a dinosaur in school!!! 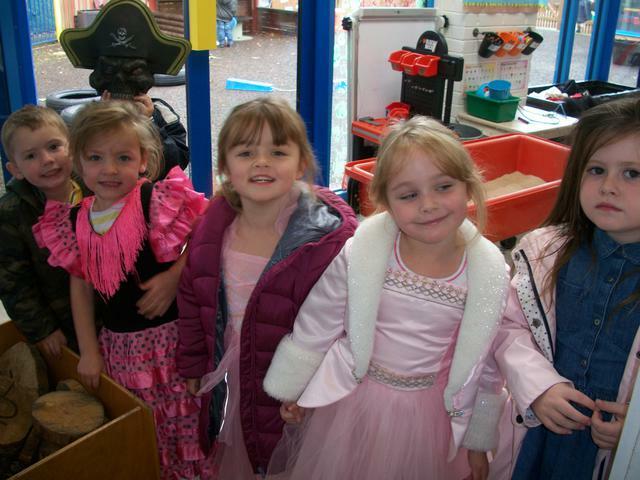 On Friday we celebrated a very special cause, Children in Need. As a class we talked about how lucky we all are and the importance of giving to others who aren't so lucky. 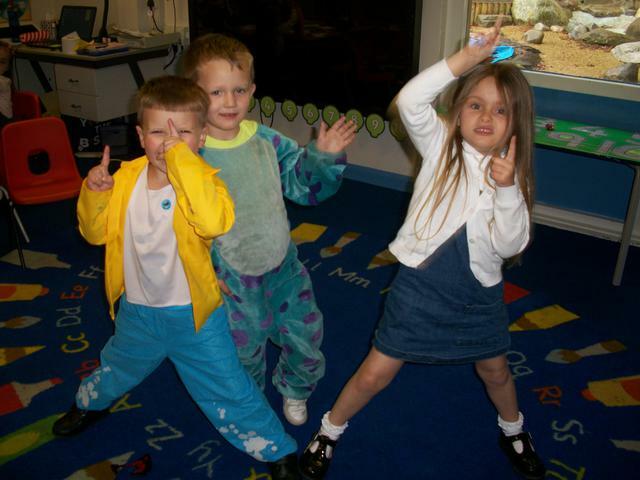 The children had lots of enjoyment coming to school dressed inside out/back to front!! 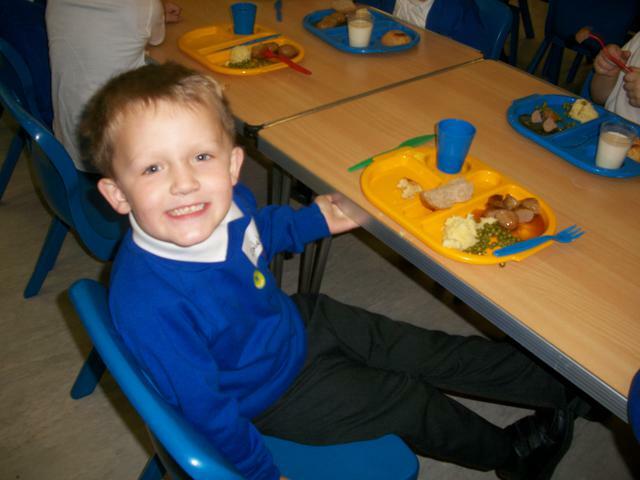 We would also like to say a huge thank you to parents for your wonderful donations. With out your help we wouldn't have been able to raise £300.51p WOW! In reception we have be learning all about the importance of poppies and what they symbolise. Can your child remember why we wear a poppy? 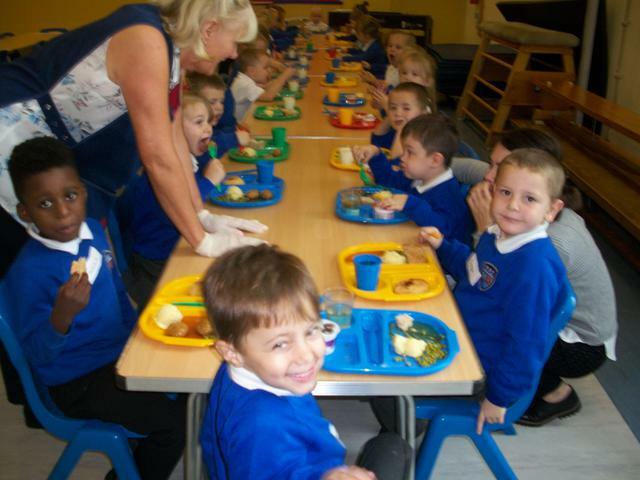 The children recognised the importance of them and even asked if they could make their own. 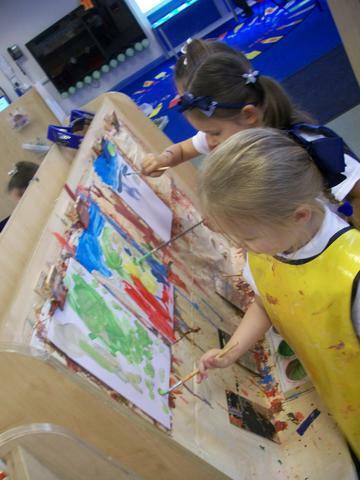 Take a look at some of the poppies reception created. 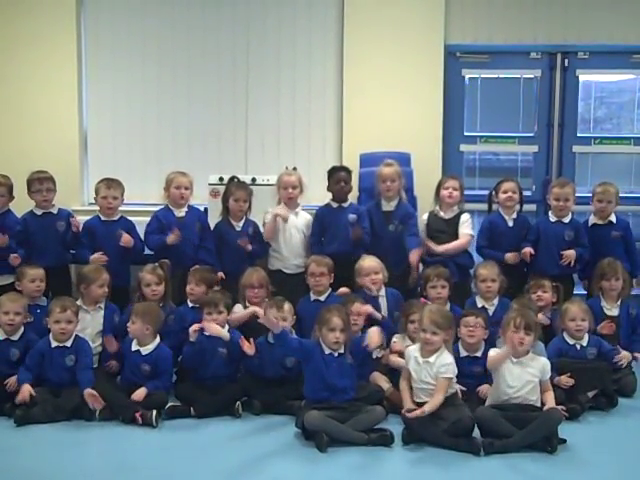 We were then asked to talk about our new learning in assembly. 5 brave children shared their interpretation of the word peace. P is for poppy, E is for everyone, A is for always, C is for countries and E is for equal. What a bright and colourful week we've had learning about Diwali, the festival of light. We learnt that Hindus celebrate their festival of light for 5 days with fireworks, decorations, food, presents, dancing, candles and diva lamps. Take a look at our own diva lamps that we made, along with some super firework patterns and drawings. We even wrote our own Diwali cards using our tricky words. What a fabulous parents evening that was. It was so lovely to share your children's learning experiences and discuss the progress they are making. If you wasn't able to attend then do not worry our doors are always open and feel free to pop in for a chat. This week our topic has been monsters. We read the story 'How To Catch A Monster' but it all got very out of hand when a monster escaped from the book!!! This led the children to make monster traps, create their own monsters and practise their monster counting. Did you know monster love to eat monster crumble? Together we picked the apples from our apple tree and decided to make apple crumble!! Yum Yum. Hopefully this will help us catch the monster, what will Mr Purtill say if there is a monster running around school!! This week we have been learning about transport. Together we have talked about things that move and where we might find them. Did you know that a train can be found underground or that a seaplane flies on water? 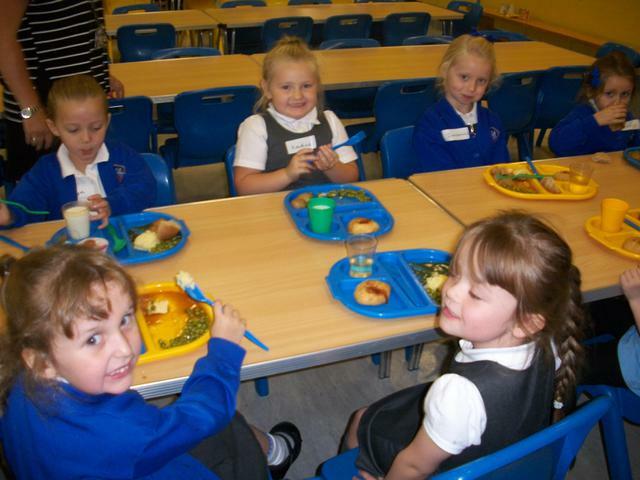 The children have enjoyed sharing what they already know and talking about the new things they have learnt. We have also talked about keeping safe around things that move. 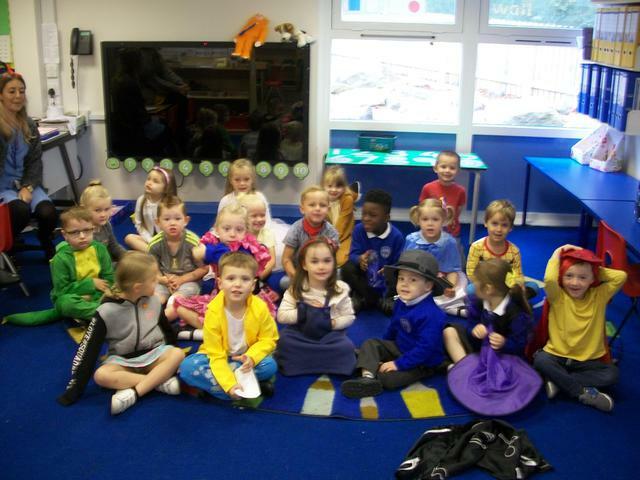 Take a look at some of our pictures, can you spot the police man, the lollipop man, Mr Look, Mrs Listen and Mrs hold hands? 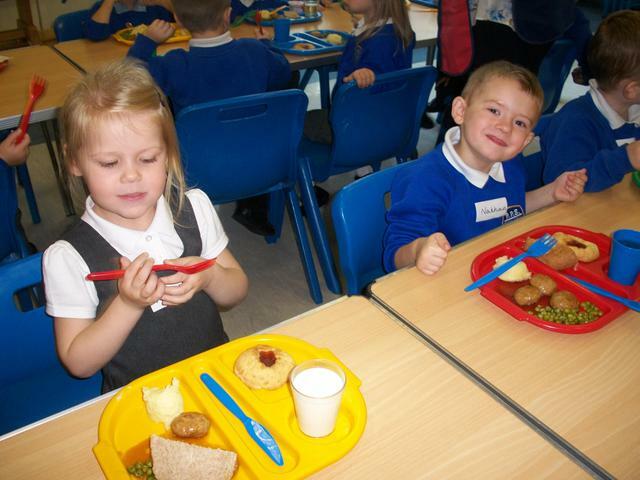 On Thursday we celebrated Roald Dahl day. 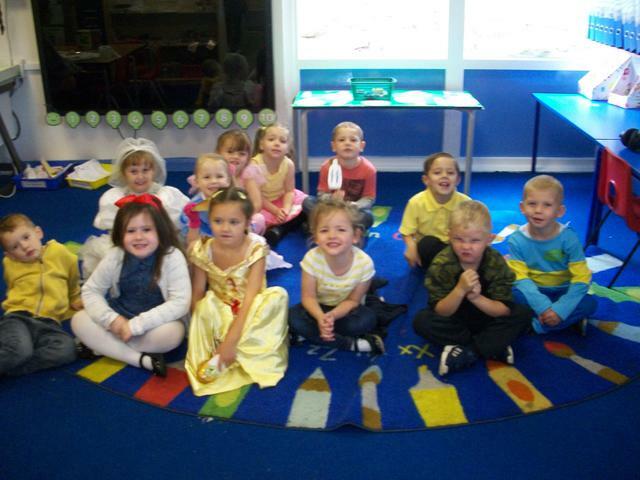 The children looked fantastic in their costumes. From Matilda to George Marvellous Medicine the children really did go all out. We had a lovely day talking about our favourite Roald Dahl characters. Take a look at our pictures in our costumes! We hope you have had a fantastic summer holiday! 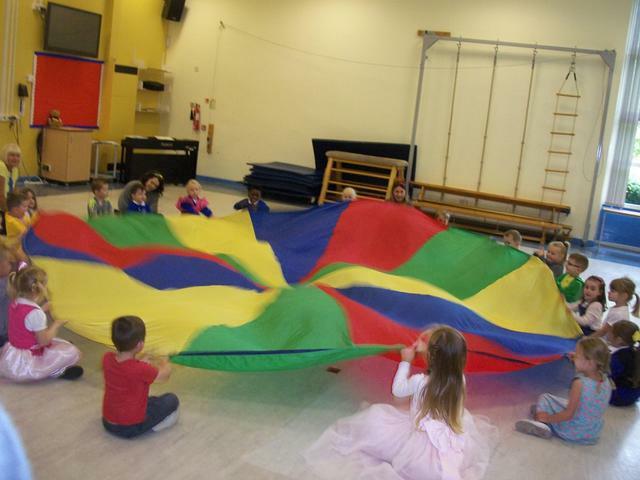 Your child is about to embark on a fabulous learning adventure with us here at Padiham Primary School and we are super excited. 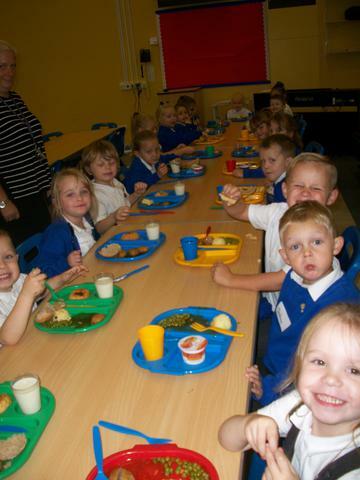 This is our Reception class page. 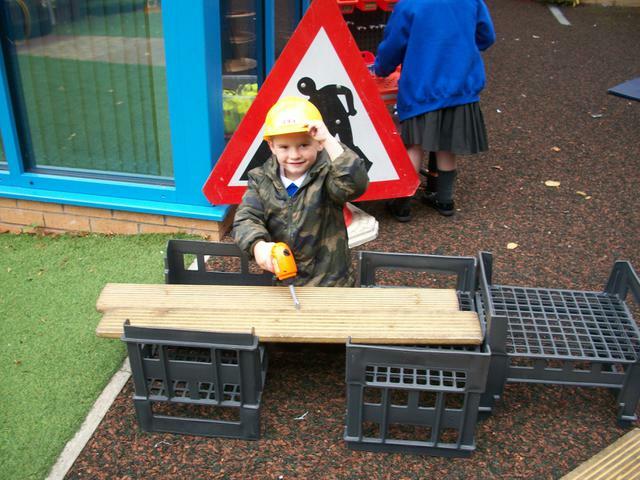 In Reception we love to learn, explore and investigate whilst having lots of fun. On here we will keep you up to date with all of our topics and things we have been up to. In Reception we have 2 teachers, Miss Tann and Miss Pearson and 4 amazing teaching assistants, Miss Chapman, Mrs Howell, Mrs Wade and Mrs Harvey. If you have any questions we are always available to chat!